Press release by Milynali-RedCFC, A.C.
Graciela Pérez Rodriguez is dedicating her life to search for disappeared persons in Mexico, seeking to generate citizens’ mechanisms which provide access to truth and identity, and consequently to memory and justice in a peaceful way. As a founding member of the project Forensic Citizen Science, Graciela Pérez Rodriguez seeks to strengthen the collection of evidence of disappeared persons, investigates the disappearances independently and analyses possible patterns around this phenomenon. This project helped establish the National Citizen Registry of Disappeared Persons (Registro Nacional Ciudadano de Personas Desaparecidas). Graciela Pérez Rodriguez has spent the last four years and eight months searching for her disappeared daughter, brother and three nephews. 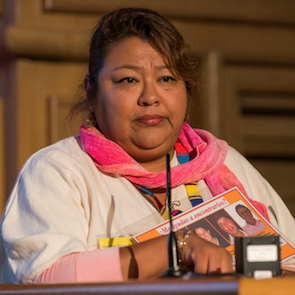 From the moment of disappearance, Graciela Pérez Rodriguez has kept on searching for her missing relatives, through the organisation Milynali Red CFC. In her search, she has come in contact with hundreds of other families of whom family members have disappeared and has taken part of the initiative to create citizens’ mechanisms to investigate the disappearances of persons. This project assembles evidence by collecting DNA samples from relatives of missing persons in a bio bank, in order for families to compare DNA during the identification process when victims remains have been found. Graciela Pérez Rodriguez leads this first citizen bio bank of DNA of relatives of disappeared persons. She works in a complicated socio-political environment, in which fear for disappearances is a daily reality. Tamaulipas is affected by impunity and corruption between the federal government, police authorities, justice agencies and crime groups. 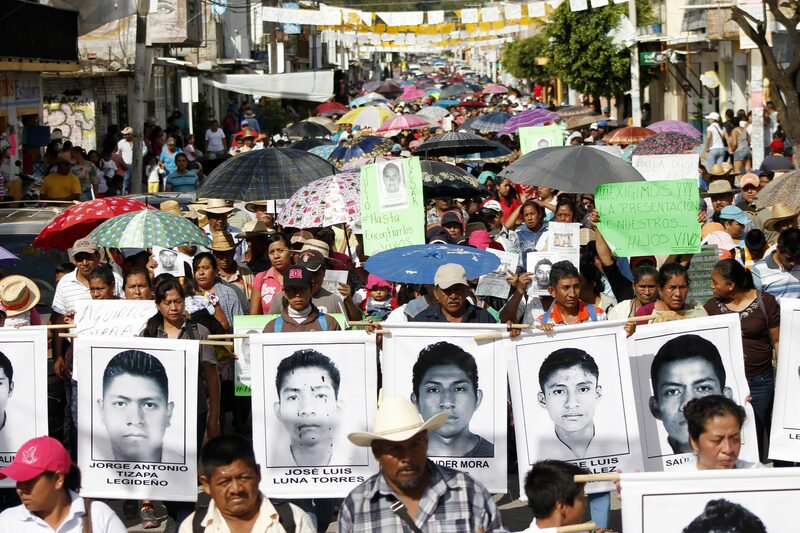 More than 5,000 people have been recorded as missing in Tamaulipas by the federal government, from a total of 30,000 across the country.The work of Graciela Pérez Rodriguez in the project Forensic Citizen Science and Milynali Red CFC, A.C. represents important steps forward in achieving accountability for the perpetrators.